Giveaway: Win the Beetlejuice Soundtrack on Vinyl! Beetlejuice turns 30 this year, and you can now bring home Danny Elfman’s iconic soundtrack for the film on vinyl. Waxwork Records and Paste are teaming up to give away a copy of the 30th anniversary vinyl release of the Beetlejuice soundtrack, out now. 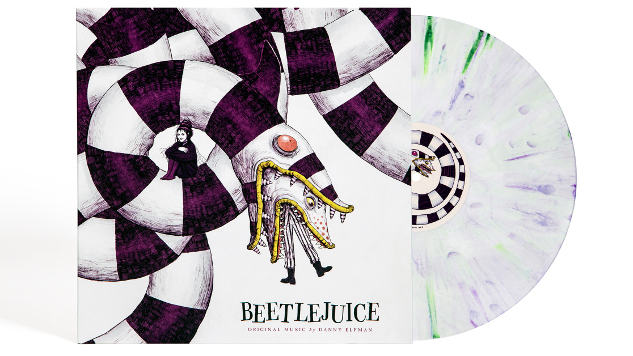 The record features the complete remastered score by Elfman and two tracks by Harry Belafonte, and is pressed on 180-gram “Beetlejuice Swirl”-colored or half-black-and-white vinyl variations. The release includes original artwork by Justin Erickson of Phantom City Creative, as well as an art print and deluxe packaging. Fans can enter to win a copy of the record here before the deadline: 11:59 p.m. ET on Friday, Dec. 14. The Beetlejuice vinyl is available for purchase via the Waxwork website. Again, you can enter to win here at any time before the Dec. 14 deadline.